The Tomato Snob: Tablescaping - step one "china"
Sorry for no post yesterday my dear snob and snobettes but I pulled my back out, or a muscle or something and have been in pretty bad shape. Yes it's always something with me. First the automic cold, then caught in the middle of a hurricane. Never a dull moment in my life. Today I'm feeling slightly better, still waiting to hear back from a chiropractor I was referred to by a friend. Anyhoo back to the topic of today... Tablescaping. Tablescaping is the art of beautifying your dining area. Just like landscaping but inside. The first step in setting up your table is picking your China. White dishes are always beautiful and classic. They present a blank canvas your your beautiful food but try something different like colour or pattern for your fine china. I love the mix and match look here in the Green and gold with the splash of coral. When choosing your patterns try and find pieces with similar details or colours. You'll need one design element to tie everything together. glasses are stunning. My aunt has such great taste and always finds interesting things. These are obviously vintage. 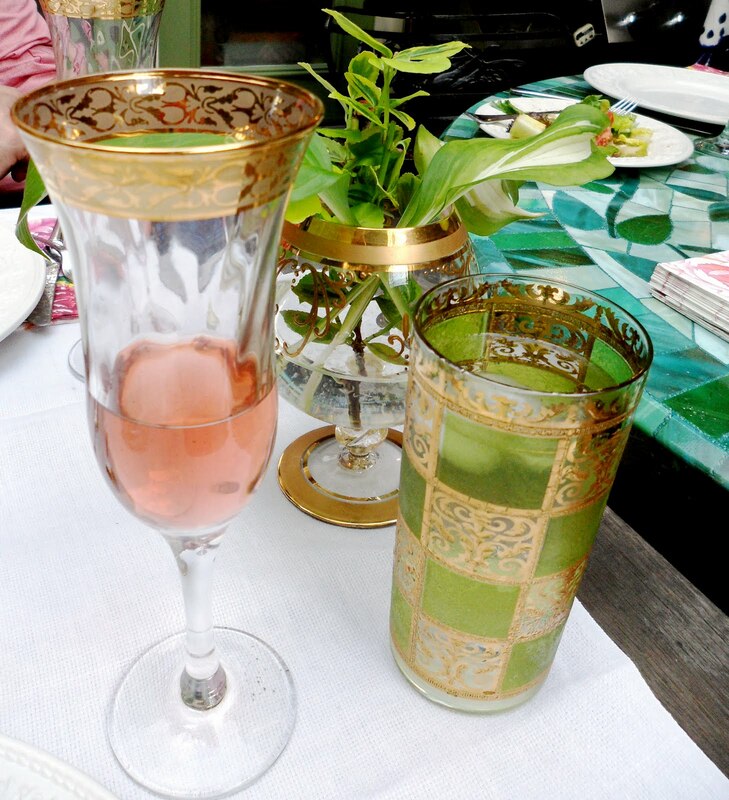 I also love the Moroccan inspired green glasses. They look amazing dining al fresco. An interesting idea here is using the brandy snifter as a little vase. I guess you've already guessed it green and gold are one of my favorite colour pairings. I'm also crazy about orange and green together. What colours drive you wild? 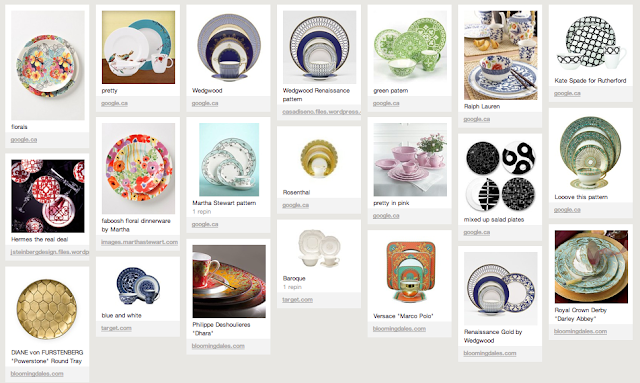 Here are some pics from my Pinterest board for dinnerware that I adore. Villeroy and Boch - French country Go contemporary if going white.